Dad and Ben haven't been getting along recently and Dad hopes a road trip to rescue a border collie will help them reconnect. But Ben is on to Dad's plan and invites Ben's thuggish buddy, Theo. The family dog, Atticus, comes along too and the story is told by Ben and Atticus. When their truck breaks down, they commandeer an old school bus, along with its mechanic, Gus. Next, they pick up Mia, a waitress escaping a tense situation. Only sharp-eyed Atticus realizes that Theo is on the run--and someone is following them. Starred Review, Publishers Weekly, November 26, 2012: <br> The authors score on all fronts: they set an entertainingly frenzied pace, provide twists aplenty, create true dialogue that blends humor and pathos, and bring together a close-knit ensemble. GARY PAULSEN is the distinguished author of many critically acclaimed books for young people, His most recent books include Crush; Paintings from the Cave; Flat Broke; Liar, Liar; Masters of Disaster; Lawn Boy Returns; Woods Runner; Notes from the Dog; Mudshark; and Lawn Boy. JAMES PAULSEN is a sculptor. 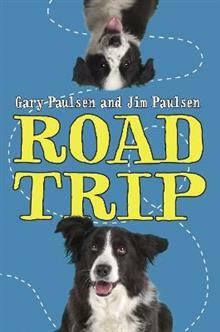 Gary Paulsen is available for select readings and lectures. To inquire about a possible appearance, please contact the Random House Speakers Bureau at rhspeakers@RandomHouse.com.